Know How to Socially Sell Your Self On LinkedIn. How we do business has changed both for business buyers and consumers alike. LinkedIn Social Selling on mobile can boost your prospects. Buyers have already made a decision before you reach them. Your job is to become the person they want to do business with. LinkedIn social selling is the new revolution in marketing and sales and you want to align your tactics of prospecting with the buying journey and add value to the buyer. First let me say that social selling is NOT about selling, rather it is about connecting and serving others in a deeper, more meaningful way. To understand that concept it is important to view how the buying process has changed. Today’s buyers regardless if that is B2B or B2C are socially driven, they are searching online for a product or service well before contacting you. The decision you want to pay attention to is “will you be the one they buy from?” The bottom line, LinkedIn social selling will help you create better relationships, drive better results! Researching your prospects is key, understanding how to make meaningful connections. There are many places to research so let me start with LinkedIn. To find a starting point for your out-reach efforts, narrowly define your search criteria by using Boolean search parameters. Use the LinkedIn ‘Save Search” function once you have defined specific search criteria and save your searches to build on later. • A warm referral increases the odds of a sales success 2x-4x. Connect on other social platforms – find prospects on other social platforms and follow their conversation to learn more about them personally & professionally. Learn the why, where and how to be more effective in LinkedIn social selling. • Optimize LinkedIn and other social profiles for your buyer. 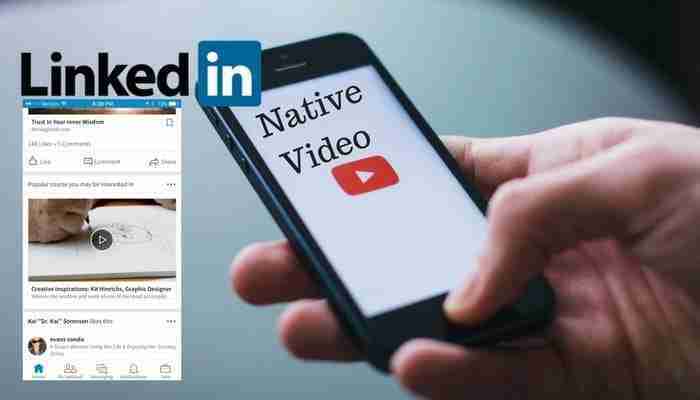 • On LinkedIn you can follow your connections in the newsfeed, if you are prospecting for potential buyers and don’t yet have someone as a connection click on “View recent activity’ from their profile and see what they have posted and find out where you can add value with a comment. • On LinkedIn if your potential buyers are using the publishing platform, read their articles which can be accessed directly under the person’s picture and headline under the section titles ‘Posts’. • Engage in comments on other social networks. Caution, by clicking the LIKE or thumbs up button you are not adding any value nor do people pay much attention to this activity, but writing a thoughtful comment that results in an engaging conversation will. • By @tagging your clients and potential buyers either sharing their content or commenting about them is a powerful way to stay top of mind. • Messaging potential buyers with articles they may find useful based on what they want from the research you have done is a great way to be of value and gets you closer to being a trusted resource.76. Post in groups that are comprised of your target audience and start great discussions and respond to other people’s discussions. This builds authority. • Don’t forget to nurture the relationships you already have! If you have over 500 connections on LinkedIn you know how difficult it is to stay connected, but being intentional with periodic messages will keep you top of mind for additional business or referrals. • Always read what your future buyers are reading and share that with other potential buyers. • Write content on your blog and LinkedIn publishing platform that is of value to your future buyers again by informing and educating. • Surround buyers with content that educates, informs and helps them, surround them online and offline. * Know that your current customers are your best advocates! JoAnne Funch, owner of LinkedIn for Business: knows the LinkedIn social selling strategies and how to leverage social marketing on LinkedIn. 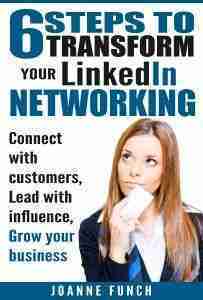 Expert in LinkedIn relationship building, gaining better results online, and how to best use LinkedIn. We would love to discuss how your team could benefit from our new Social Selling Training!